In September I visited Medellin to attend the signing of a new coffee renovation and technification project. The city, a strategic center of one of the most important coffee producing regions in the country, has an atmosphere that mixes with local tragic humor anecdotes about Pablo Escobar. Such stories are also indirectly represented in the volumetric sculptures by Botero that decorate a park in the city center. Coffee has a great cultural, economical and strategic weight in Colombia: In 2015 its production represented 12.5% of the agricultural, livestock and fishing sector GDP. In spite of logistical, productive and efficiency problems, national production has maintained the tendency to increase during the past years: The National Federation of Coffee Producers reported in January that the 2015-2016 harvest had grown 12% in relation to the same period the previous year. Colombia has great growth potential mostly because coffee represents a feasible economic activity for agricultural rural zones. In October the 2nd, news of the “No” to the country’s peace agreements shook the region and the world. Last Friday, we woke up to the news of Santos, the country’s president, to be named as the Nobel Peace Prize winner. My encounter with Colombia happened a few weeks prior, when everything was hanging by a thread. During my trip, I visited rural areas and coffee production zones. I noticed that topics of violence and guerrilla were far from every-day issues for locals. 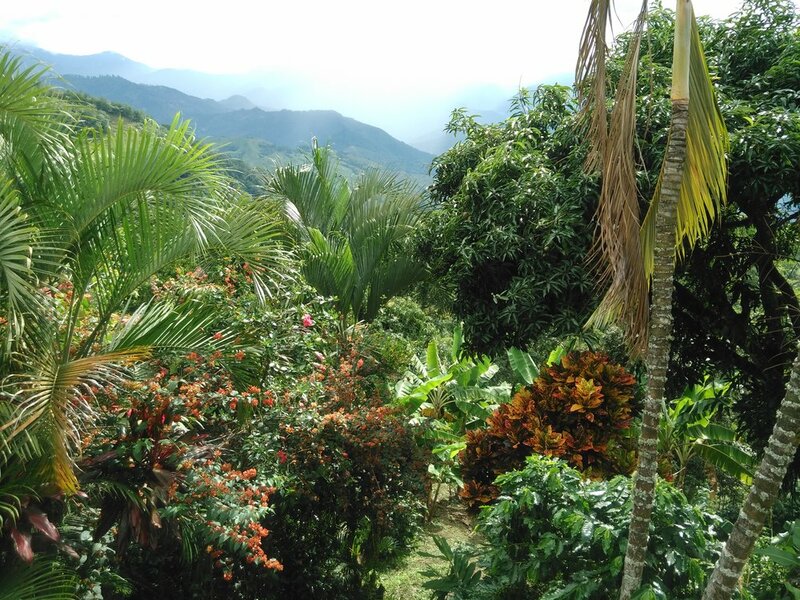 From Andes to Jardín, producers, technicians and other people I had the chance to talk to, concentrated their efforts in coffee productivity and income topics, while living in a safe area with landscapes so beautiful they hardly seemed real. In this context, Cooperandes and Grameen Foundation set a project to support two thousand small producers, with the requirement that they should own at least two hectares of land each. Within the next years, the project expects the farmers’ production, productivity and income to increase. I was there to witness the signing of this project’s contract between the IADB and Cooperandes and launch this project as a part of the SAFE Platform. At a land with a permanent harvest season, reaching productivity and improving the farm’s processing system seem to be the two main opportunities of change that the project will aim for. Producers mentioned meaningful efforts they make to renew their coffee plantations, many of which are old and affected by disease or by nutritional deficiencies. Another challenge that was brought up was the need to improve their equipment and coffee processing installations. On my way to these picturesque communities, we visited Maria Inés Buitrago’s farm. She lives with her oldest daughter in a tiny, neat, cozy home, surrounded by multiple flowers and colorful paintings which decorate the external hallways of the place. Just like many other coffee producers, she will receive credit through this project, which will be invested in her plantations and in improving her farm’s mill. She’s had the responsibility of caring for her children for years now and had to renew and recover her two coffee hectares to support herself. She used to receive help from her neighbors who provided her with information in farm maintenance and fertilization. Today, with the support of her son in-law and her oldest daughter, she manages her plantations flawlessly and introduces good agricultural practices. The most important aspect she leans on is her optimistic view of the future. Back in Medellin, the discussion of peace agreements returns to the atmosphere and my mind drifts away once again into the natural quietness of those coffee plantations. Today, surrounded by news avalanches of the “No” to the agreements, it is clear to me that a country so big and strong needs that natural atmosphere to trespass mental barriers and interests. Colombia deserves the peace that its coffee plantations exude.